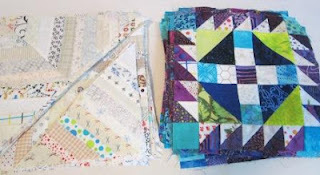 I have linked up to Freshly Pieced WIP Wednesday on this 4th of July. Happy Independence Day to my American friends and family. Yes I have cousins that are Americans. As a Canadian I have added this to Needle and Thread Net Work. I am working on more blocks for my RRCB quilt. I have decided to make it larger and I need more blocks. My stack of blocks so far. I have changed the colour to some of my favourite colours. I hope to get the coloured blocks done this week and maybe next week attack the string blocks I need. I also got this little triangle scrap quilt sew together. It is now a quilt top and off the design wall. 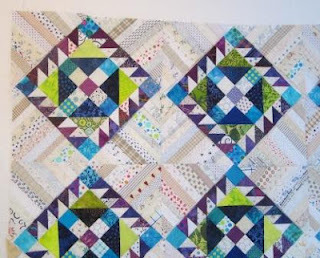 I will have to squeeze in some time and see if I can get it quilted this week too. 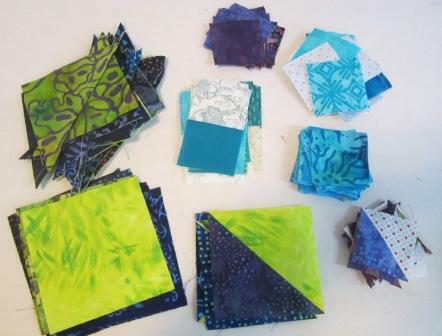 I have ton of machine quilting to do for customers. I need to keep on track. 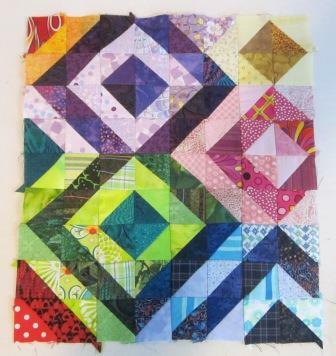 Maybe stay off the internet after I check out what the other WIP quilter`s are doing. THATS IT!! I need to also do RRCB. Yours is so fresh looking. Great colour choices Cathy. Gorgeous blocks and I sure do love your colours! Love your RRCB. Gorgeous colours. Those blocks are lovely, great colors. And my room is not always neat (just ask my husband) but of course I tidied up for a photo shoot!! 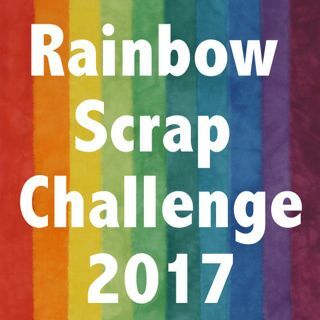 I love the colours you have chosen for your RRCB! What lovely colours and the piecing looks great! It's hard not to spend all day checking out the WIP links isn't it?! Love your colors and progress.